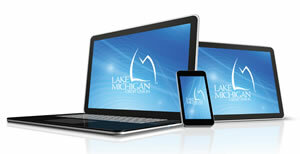 News from LMCU: New Online Banking Coming This Spring! New Online Banking Coming This Spring! Quick Links – Add a payee or make a payment with ease from any page. Deliver by Scheduling – Choose the date you want your payment to arrive. Payments Review Page – Review, edit and expedite your payments on one page. Enhanced Security – Select an image to personalize and protect your log in experience. We hope you will enjoy the ease and new functionality offered by our enhanced online service!